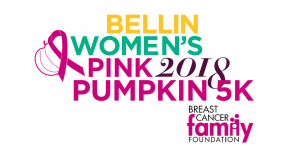 2019 Pink Pumpkin Run/Walk Options! TWO locations = TWICE as fun! To register, click the location you wish to participate in! October is going to be GREAT! NEW thi s year we are joining forces with Bellin Health as our Presenting Sponsor. You will still have the same look and feel that you know and love from our Pink Pumpkin 5k but with a new location and updated participant perks! Register HERE for our Green Bay event and view Event Details! South Wood County Park -6411 S Park Rd. |Pre-event activities – starting at 8 a.m. | Official run/walk start – 10 a.m.
Pre-event check-in – Friday, October 19th, 4-7 p.m. at South Wood County Park or day of event – Saturday, October 20th, 8-9:45 a.m.
Why does the Breast Cancer Family Foundation hold the Pink Pumpkin Run/Walks? Mission. Your participation supports our mission to “Inspire people in our community to lead cancer-free healthy lifestyles”…a nice run or walk on a Saturday morning gets the body moving! Education. Funds raised from entry fees, raffle tickets and our supportive business sponsors fund our cancer awareness and prevention community education programs for high school students and adults in the community…start early in life making good food and lifestyle choices and it’s never too late to do so! Honoring the Fight. All of us have been touched by cancer in some way…great place to get together with others in the community and recognize cancer survivors and those lost to cancer. Weather. We’re hoping for a great weather on both event dates… but in case it’s not…we will not cancel the event for any reason other than severe weather conditions that would pose a danger to athletes, volunteers and spectators. BCFF reserves the right to alter the course in any way deemed in the best interest of athletes and volunteers. This includes, but is not limited to, distance or shape of course, postponing start, cancellation, etc. Sorry but NO REFUNDS in the case of changes or cancellation due to weather. 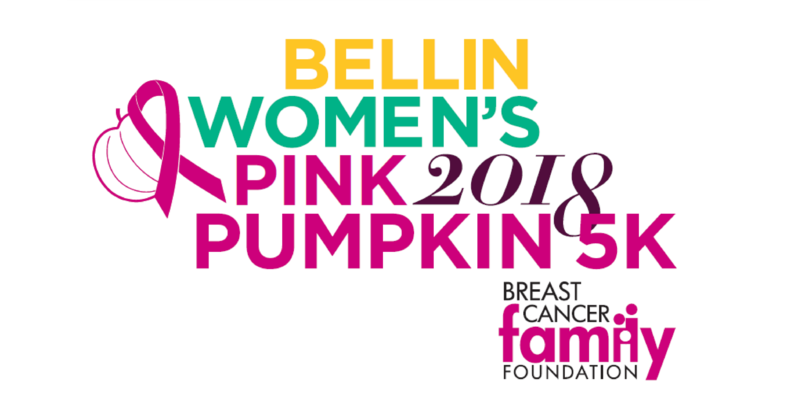 If cancelled, the Pink Pumpkin Run/Walk will not be rescheduled. Refund Policy. Run/Walk registrations are non-refundable. Pet Policy. While we love animals, please leave your pets at home. Due to insurance and liability reasons, no dogs (or other pets) are allowed at our Wisconsin Rapids event including with runners or walkers on the course or as spectators. Thank you for understanding!